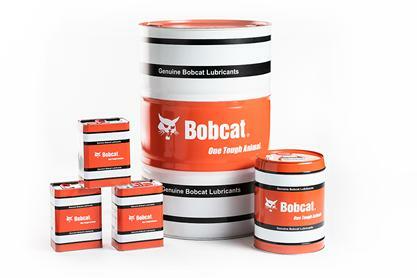 Bobcat’s range of oils and lubricants are custom blended and made from the finest base oils and specific additives. They meet Bobcat Engineering’s high performance requirements, long life and reliability specifications for Bobcat equipment in all conditions from extreme sub-zero temperatures to high-temperature use. They provide outstanding protection from corrosion and rust. The range includes: Engine Oils, Synthetic and Biodegradable Hydraulic/Hydrostatic Fluid, Coolants and Transmission Oil in 5L, 20L, 210L and 1000L packages and various Greases. 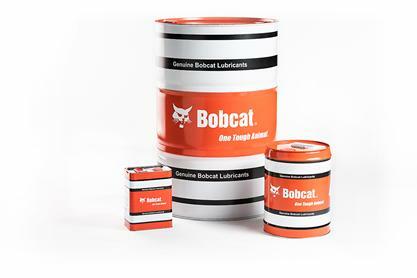 Bobcat Hydraulic/Hydrostatic Fluid is a unique, custom blended fluid with the finest base oils and additives to meet Bobcat Engineering’s stringent specifications for quality and reliability. Designed to provide optimum flow and pumpability at subzero temperatures yet maintain excellent stability during periods of use at high temperature. Bobcat’s special formula cannot be duplicated from off-the-shelf hydraulic fluids. Wide operating temperature range for severe duty pumps having bronze and steel components. Ensures seal performance and protects critical bearings, cylinder and gears. Excellent vane, piston and gear pump performance. Excellent corrosion prevention capabilities for reduced maintenance. Special anti-foaming agent to assure proper functioning of the systems. Contains extreme amounts of anti-wear additives. High performance oils designed to provide optimal protection during various working operating conditions. Excellent soot handling, wear protection and resistance to breakdown under high temperature. Satisfy the highest American (API) and European (ACEA) specifications. May also be used in other than Bobcat earthmoving machines. 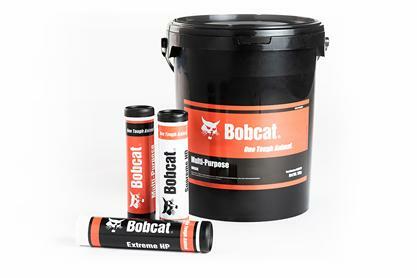 The low-ash formulation of Bobcat Ultra Engine Power helps protect the exhaust catalyst and particle filters as used on the latest low-emission vehicles. It makes the oil suitable for the most modern low-emission heavy-duty engines. 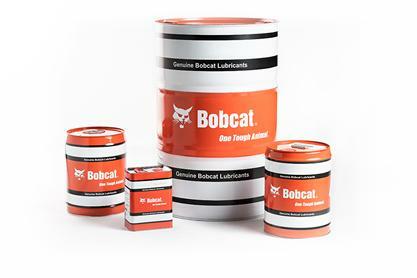 Bobcat Transmission and Differential Fluid is an extra high performance multipurpose lubricant engineered to meet or exceed transmission and certain hydraulic fluid requirements. The advanced technology is designed to optimize the performance of equipment operating in a wide range of environments and conditions. Bobcat Transmission and Differential Fluid combines select base oils and an advanced additive package to deliver the varied lubricant performance properties required in severe duty applications of a variety of equipment drive trains. Bobcat Transmission and Differential Fluid delivers exceptional performance for power train transmissions and drive axles. Bobcat Propylene Glycol (PG) and Ethylene Glycol (EG) Antifreeze & Coolants are designed specifically for Bobcat heavy-duty applications, providing freeze protection down to -36°C. Developed for ideal engine and cooling systems protection by ensuring effective removal of heat from the engine to prevent its overheating. Maximum protection against freezing, boiling, corrosion and lime-scale formation compatible with long term stability and non-foaming properties. Supreme HD: highly adhesive and cohesive structure; broad multi-purpose application; reduced leakage and extended re-lubrication for lower usage. Extreme HD: heavy-duty, unleaded contractor/mining grease; good pumpability at low temperatures; has excellent water resistance and extreme pressure capabilities. Multi-Purpose: excellent protection of lubricated equipment with potential for extended life and reduced maintenance. Multi-Purpose Grease available also in larger 18 kg and 50 kg package. Special brake fluid designed and recommended for Bobcat brake systems on Telescopic Handlers produced up to December 2003. Suitable also for other applications when an LHM oil is recommended. Do not mix with DOT fluids.